We are celebrating Gaming Christmas Eve. And You've got this xmas-gift,all mobile game by Guruji at one place. Yes, On Christmas night everyone gets some gifts,this is what everyone say for Xmas. 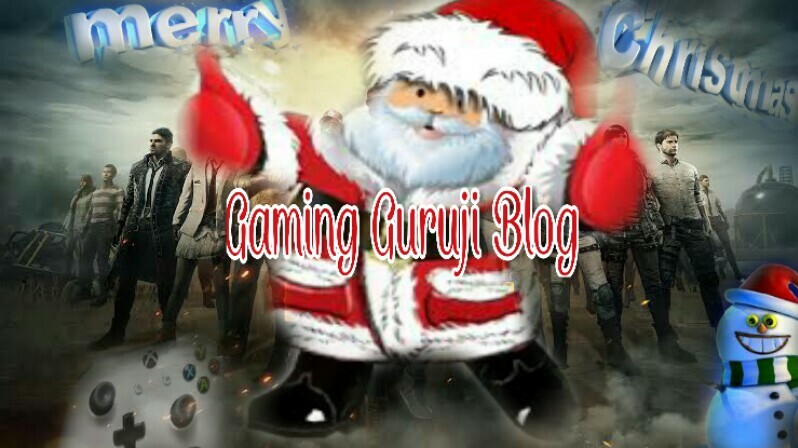 So this month we are celebrating Gaming Christmas and Santa Guruji is going to give you this xmas-Gift, i.e All popular premium android Gaming apk and data links on this blog at one page for 25th December. Celebrate this 25th December with Games and make your Christmas Eve memorable as everyone these days is busy in his/her mobile, how would it be if they can get this xmas-gift without doing anything. I've never met anyone who has got anything from Santa but still I do what everyone does on just before christmas night.. put shocks under the pillow and wait until morning for my xmas gift. Gaming Guruji has this wonderful blog for you guys to help you to get all premium games links easily available. And I know you love to have everything in your one plate..yeah. So Celebrate this year Christmas i.e 25th December 2018 with Gaming Guruji. Sing xmas gaming song along... And Enjoy..
With Games apk and data for your Play..
Now coming to android Games and providing you links to APK and Data, on the internet I've found. Finally what I'd like to say : Merry Christmas .... Enjoy mobile gaming and let's have some smile on everyone's face.